What do I take away from this? Kingdom Hearts fans love, love, love the franchise. They seem to fixate on the convolution of the plot points, constructing explanations for how the whole series fits together. They love the characters and the worlds, and they're not ashamed of it. 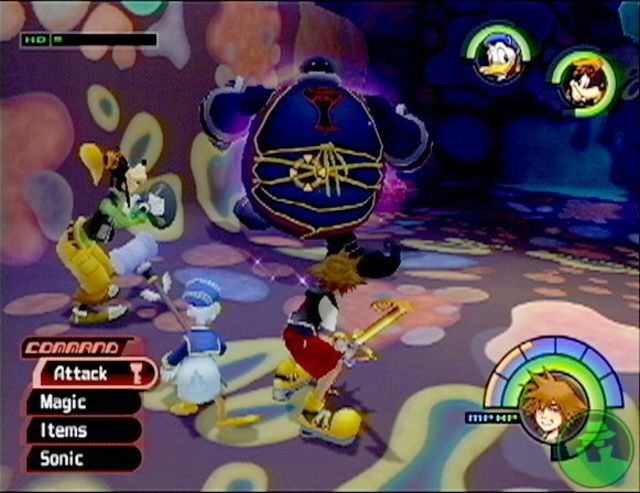 And of course, they're all clamoring for an unannounced Kingdom Hearts III. I commend their loyalty and fervor; though, I don't think that the series will ever inspire that level of fandom out of me. I'm somewhat baffled as to how such a game can exist. A joint venture between Disney and Square Enix, Kingdom Hearts features beautifully constructed worlds based on 9 different Disney films plus a handful of original settings. The visual presentation of the game is extremely well executed, and I certainly applaud the ambition of the teams involved. The possibilities of this concept are what initially excited me about game. Yet, I wonder if ambition and possibility are the only draw to the game. I often found the game itself to be problematic. The narrative threads seemed to be loosely tied, which made it often confusing. The mechanics were pleasantly simplistic but never inspired any strategic thinking that might have kept me from getting tired of the constantly spawning enemies. I would have expected an action role-playing game whose main form of interaction is pressing the attack button to move very quickly between location and plot points, but I experienced a serious mid-game lag that literally lasted years. I simply had no idea what to do next and no motivation to find out. Do not despair, though, my dear readers. Eventually, I returned to Kingdom Hearts. I finally finished the game, finding some enjoyment in the later chapters when the pace of the game increases and the plot threads begin to weave together into something rather unique and interesting. 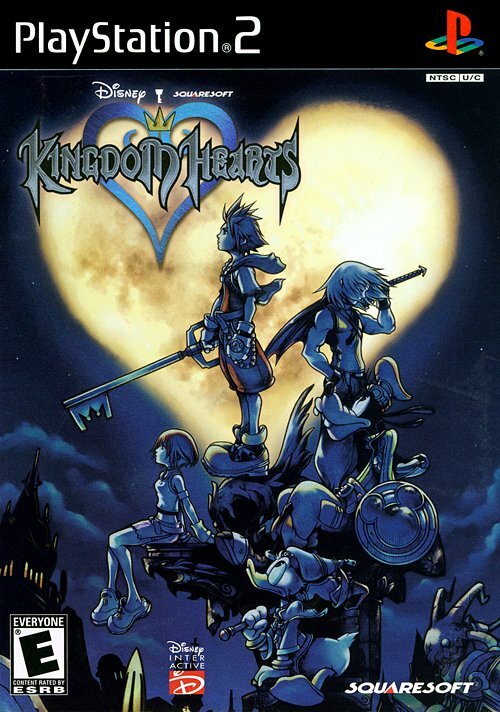 In the end, the disparate elements of Kingdom Hearts pull together to form a cliffhanger ending that has me interested in spending some time with the sequel. However, my expectations are certainly tempered.